Learn how to play major triads and chords on different strings and neck positions. 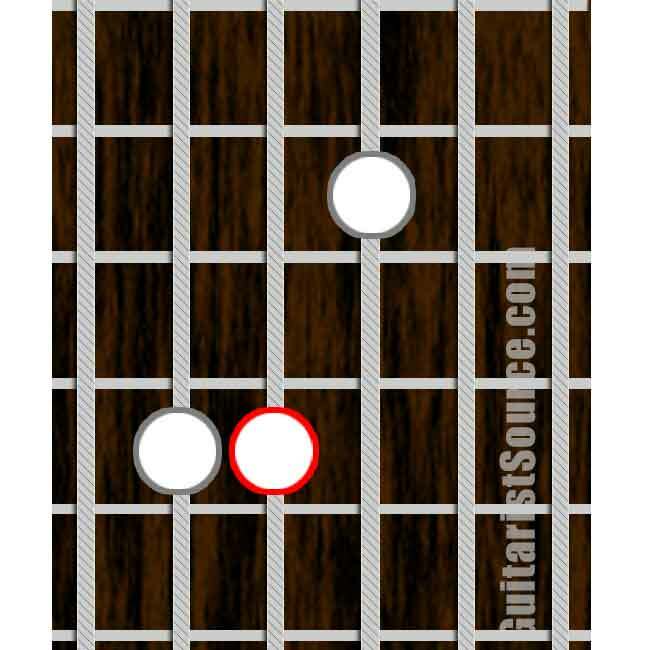 Learn how to play minor triads and chords on different strings and neck positions. Triads are a group of 3 notes that form a major or minor chord. A chord is made up of at least 3 notes of the major scale; the first or root note, the third and the fifth. These three notes are also known as a triad. 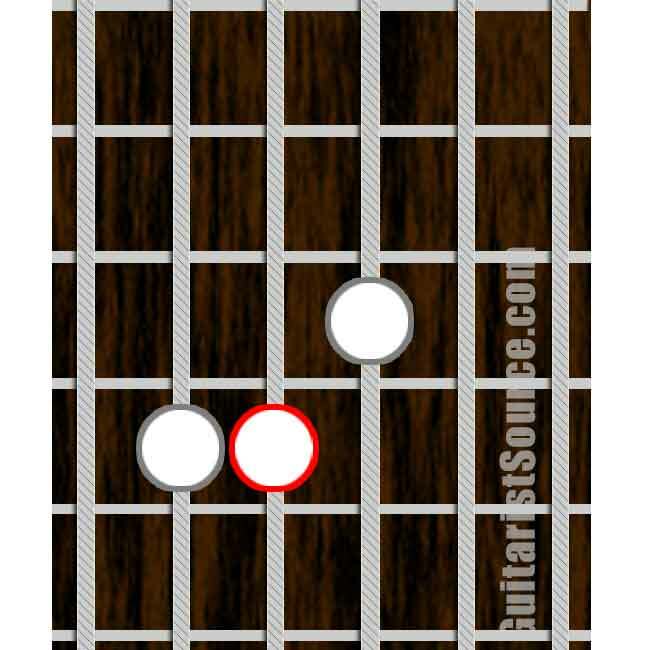 Example: using the C Major Scale, the notes shown in red are used to play a C Major triad. Major triads are formed by the first (root), third, and fifth notes of the major scale. Minor triads are formed by the first (root), flat third, and fifth notes of the major scale.